Early in 2016, Erik Samuelson wrote to the Dons Trust Board (DTB) to say that he did not wish to continue in the role of CEO in the new stadium. This led to a long discussion within the DTB and with Erik about how best to manage the transition, and what his role should be in the interim. There was overall satisfaction with how everyone involved in running the club was performing, but it was clear that everyone was stretched. 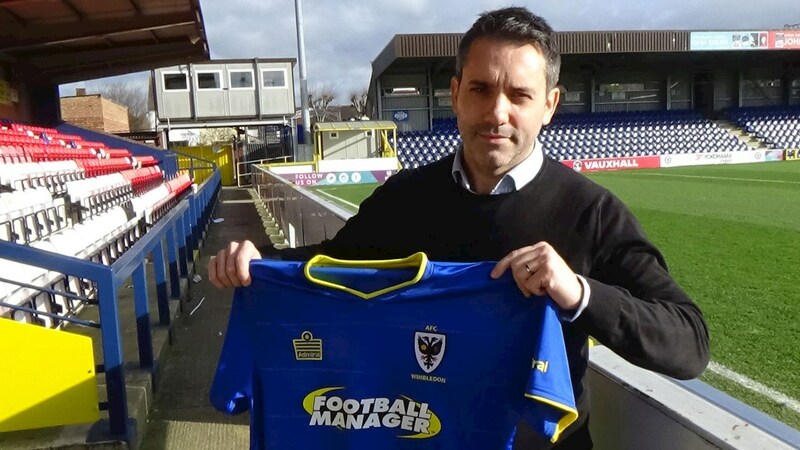 We (Sean and Roger) were asked to meet, confidentially, on a one-to-one basis, with each member of the Football Club Board (FCB) to seek their views on the future direction of AFC Wimbledon and how it should be run. We met twice with each member, which was immensely helpful. Their feedback was strictly in confidence. The initial discussions were about what new role should be created and the process to be followed. After examining a range of options, it was decided to appoint a Chief Operating Officer (COO), accountable to Erik. Recruiting the right person would require the right contacts, skills and time capacity – none of which were available within the club. The DTB therefore commissioned us to identify a source for recruiting and to head up the recruitment process. We were asked to come up with a shortlist of four candidates for interview. After making inquiries, we arranged for a sports recruitment company, SRi, to work with us. In order to get the right person, they probed in depth with us the chemistry of our club, the nature of the job and the skills required. We emphasised that it was essential for the COO to understood the DNA of AFC Wimbledon as a fans-owned club and to work within that ethos. Other requirements were experience in managing a sporting organisation (not necessarily in football) and a skillset that complemented Erik’s. After three weeks, SRi presented us with the names of about 70 people who had expressed an interest. They had a wide range of backgrounds, some in other sports. They recommended a long list of a dozen people who were worthy of consideration. We whittled that down to nine people for a first interview. Our approach included competency assessments. In October 2017, we (Sean and Roger) met each candidate for a 90-minute in-depth interview. This concentrated on their experience, personality and commitment, and whether they understood, and would fit in with, the DNA of the club. Each of these candidates then met Erik separately and were given the opportunity to see his “palatial” office. The three of us then compared our opinions of the candidates, and although inevitably we differed in our views, we fairly quickly settled on four candidates for final interview. The DTB had been kept informed of our progress throughout, and they were now told of the shortlisted four. They confirmed that the selection panel would consist of the two of us with Matt Breach (then DTB chair) and Erik. Before the final interviews, each of the four candidates met informally with the other FCB members, giving them the opportunity to learn more about the club, the nature of the job and the people they would be working with on a day-to-day basis. The FCB members also fed back to us their views on the suitability of each candidate. Both directly, and through SRi, in-depth inquiries were made into the backgrounds, personalities and skills of each candidate. The final interviews were held away from the club. Each candidate gave a 15-minute presentation on their understanding of the opportunities and challenges for the club in the next three years. The selection panel was impressed with all four candidates, but the final recommendation to the DTB was unanimously in favour of Joe, and at its meeting in November 2017 the DTB unanimously accepted the recommendation. After serving notice to his then employers Joe started with us on 22 January, and we published an interview with him in the Northampton programme, reproduced on the official website. You will be seeing and hearing a lot more from Joe in the coming months as he settles in and develops his proposed strategy for life in the new stadium. This entry was posted in News and tagged FCB, programme page. Bookmark the permalink.